Across Europe, the political will exists for the expansion and promotion of railway transport. This is also caused by the much lower environmental impact of railways compared to other means of transport. Nevertheless, the railway noise and vibration emissions are not insignificant for the residents. The railroad is still a very safe and environmentally friendly mode of transport, however, it also causes massive noise problems. 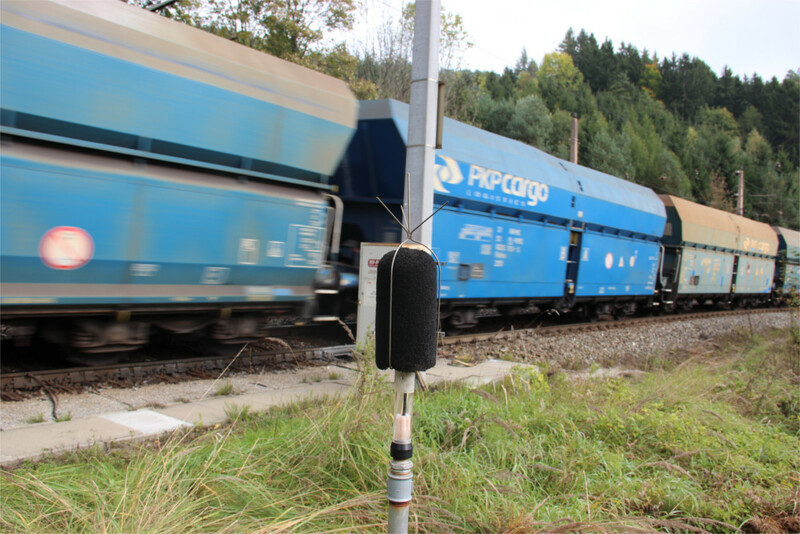 The noise caused by railroads are the second most significant source of noise today after road traffic noise in Austria. Up to speeds of 40 km/h the engine characterizes acoustic emissions. At higher speeds, the rolling noise is becoming increasingly important. From speeds of v > 250 km/h aerodynamic noises occur in addition. The decisive factor is that both, the vehicle and the track, emit a noise portion and that the sound level that is measured next to a track, always describes the sum of the two proportions. The (acoustic) roughness of wheel and rail stimulate the rail (track) and the wheel (vehicle) to vibrate. These vibrations are emitted from vehicle and track as airborne sound and recognized as an overall noise. Given the current state of knowledge, the most effective way to reduce railway noise is to convert the in Europe still popular vehicles, which are fitted with cast iron brake blocks on modern brake systems made of composite (K- or LL-blocks). These brake systems prevent the formation of ripples and roughness of the wheel tread and thus reduce the noise emission at source (wheel-rail contact). The noise reduction particularly affects the rolling noise, since the wheels are kept smooth, the actual brake noise is likewise reduced.Further measures to reduce rail noise on the side of emissions are rail dampers, rail web shields, wheelnoise-absorbers, highly elastic sleeper sole pads, close-to-clearance noise barriers and rail grinding. The resulting sounds while driving through curves can be distinguished mainly as follows: squeak arises at the rail head of the bow inner rail through Stip-slick effects and yelling, which is caused by the wheel flange of the wheel, arises at the bow outer rail. Nowadays the additional noise exposure can be significantly reduced through the use of railhead conditioner or edge lubrication systems. 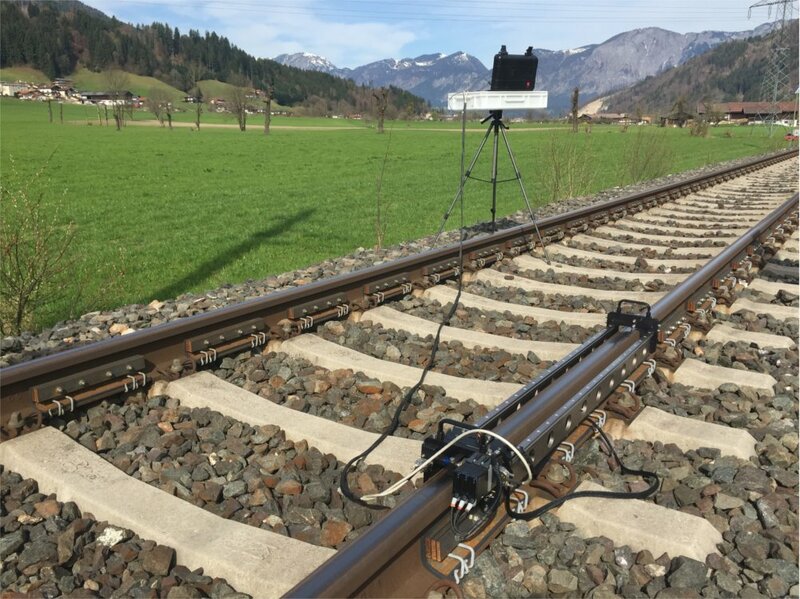 In the recent past our company has been involved in numerous national and international research projects that actively deal with the problem of railway noise and measures for its reduction. The Track Decay Rate (TDR) describes the decrease in rail vibration per meter rail [dB / m] in the third-octave bands with a dynamic load (passage of a train). This means that the higher the level is, the less long the rail swings after - the less it emits noise and is quieter. The track decay rate thus provides information on the acoustic characteristics of the track. The vertical and lateral track decay rate is measured acc. EN 15461 / A1: 2010 by impulse excitation of the (unloaded) track. In the TSI Noise is noted that for approval tests the vertical and lateral TDR must be known (reference track). The results stay valid for a period of 12 months before and after the measurement, provided that during this period no relevant changes in the superstructure took place. We have accredited measurement personnel for standardized determination of the Track Decay Rate and appropriate software (PBA) for the calculation. There are countless products on the market, which reduce the railway generated noise with help of their special acoustic properties. Nevertheless, currently still the classic, conventional noise barrier (in combination with sound-proof windows) is the most widely used method to protect residents against excessive noise in compliance with national and international immission limits. Numerous studies have shown, that by setting up measures to reduce noise emissions on the track (rail dampers SSD, rail web shield SSA, etc.) as well as by the increased use of K-blocks, LL-block or disc-braked freight wagons not only a stronger noise reduction is possible, but that a combination of these measures is also economically viable for the infrastructure provider. The rail roughness provides information on the acoustic characteristics of the track. Analogous to the roughness of the wheel, a rough rail in the wheel/rail contact zone results in increased acoustic emissions of the overall system. The smoother the rail, the less it`s share of noise. Regular rail grinding (high speed grinding, oscillating grinding, etc.) or acoustically optimized grinding processes can keep the roughness of the rails low so that the noise emission can be reduced. In the TSI Noise is noted that in approval tests of vehicles, the acoustic rail roughness must be known. They are valid for three months during and after the measurement. Measurement methods and limit values are specified in EN 15610: 2009 and EN ISO 3095: 2013. Our company has a stationary-to-use Track Decay Measurement Device and accredited measuring staff for the conforming to standards procedure for Track Decay Measurements. The Technical Specification for Interoperability, TSI Noise 2014 (technical specification for interoperability relating to the "rolling stock - noise") requires for new or upgraded rolling stock, which will be approved in Europe, that noise limits for each category must be verified by measurement. This approval measurements should be carried out on a section of track whose superstructure parameters regarding acoustic rail roughness and TDR correspond to the TSI standard, since the acoustic impact of the track is minimal and the limit values can be more easily achieved. The complete measurement range of self-propelled vehicles includes, in addition to the stand and pass-by noise measurements, measurements in the interior during the working operation. Our office has the necessary equipment to determine the general acoustic parameters of the superstructure (rail roughness, track decay rate) of track sections with standards as well as accredited measuring personnel to carry out TSI Noise compliant approval tests. Vehicle manufacturers need only to provide the vehicle, everything else (providing the measuring point, line closures, safety posts) will be organized by us.